3 bedroom, 1 1/2 bathroom two floor condo. 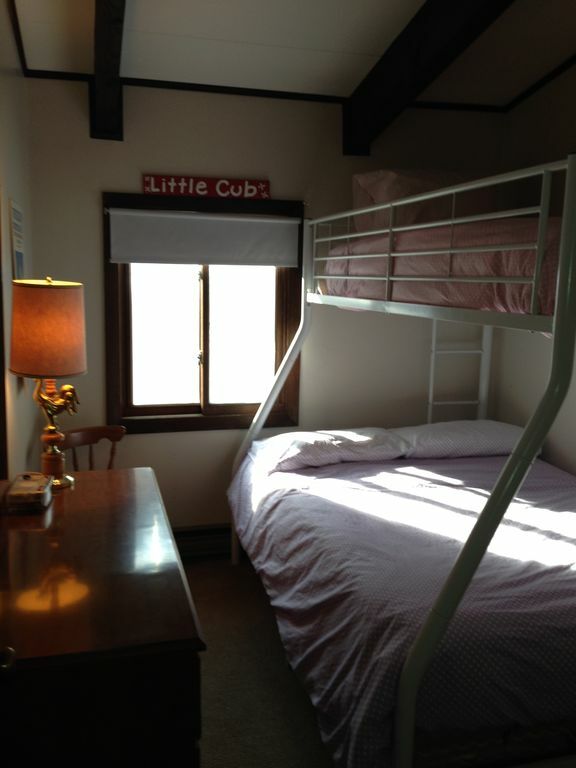 1 bedroom (king), 2nd bedroom (bunk beds), 3rd bedroom ( bunk bed, full on bottom). Living room has pull out sleeper sofa also. Newly renovated, kitchen, dining area, living area. Washing machine, dryer, fireplace, dishwasher, microwave. Approximately 1. 5 miles from base lodge of Stratton Mountain and 15 minutes to Bromley Mountain. Sleeps 7 comfortably plus sleeper sofa. Loved this place. Newly renovated and comfortable. Really great space! And so convenient to Stratton Mountain. Kelly was VERY quick to respond with my questions! !